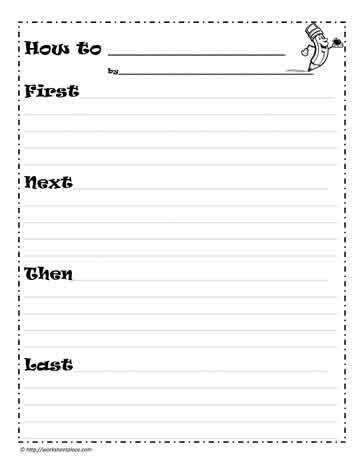 Use this expository worksheet for primary aged students. It's a great graphic organizer to help them with this type of writing. They can choose their own topic or you can select one for them. For instance, you can ask them to use this to write about how to tidy their room or to feed their pet or to make a sandwich. There are many times you'll be able to use this worksheet over and over again.